Allie’s Donuts has become a landmark on Rt. 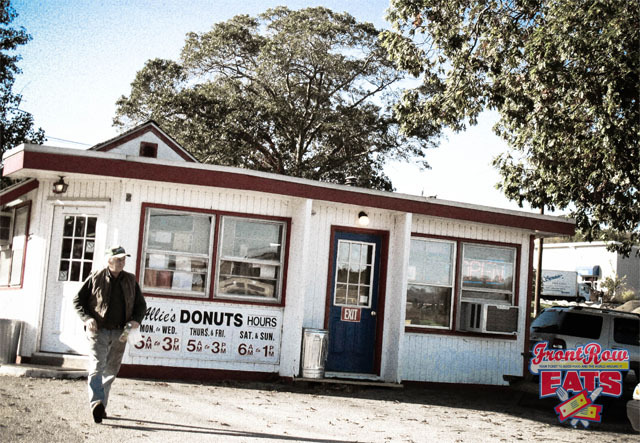 2 in North Kingstown, serving freshly baked doughnuts since 1968. 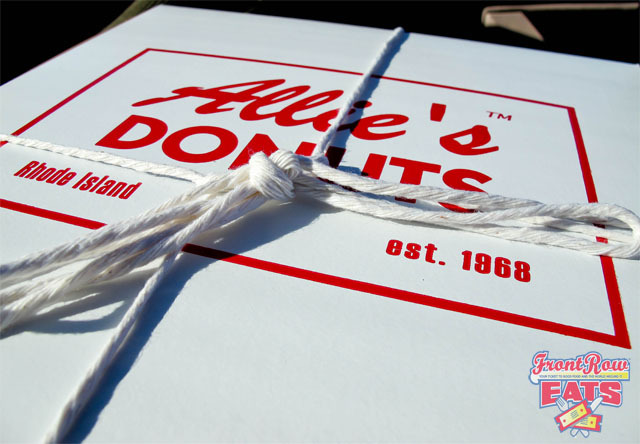 Not only is Allie’s known for baking the best doughnuts in Rhode Island, they are often regarded as having some of the best doughnuts in the country too. That’s right! 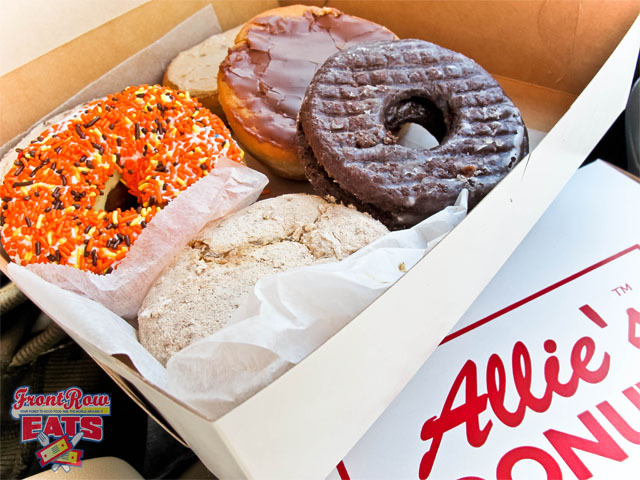 Some might say that Allie’s deserves the same kind of recognition as Randy’s Donuts in California, Voodoo Doughnuts in Oregon, and other renowned shops across the grand ol’ US of A. 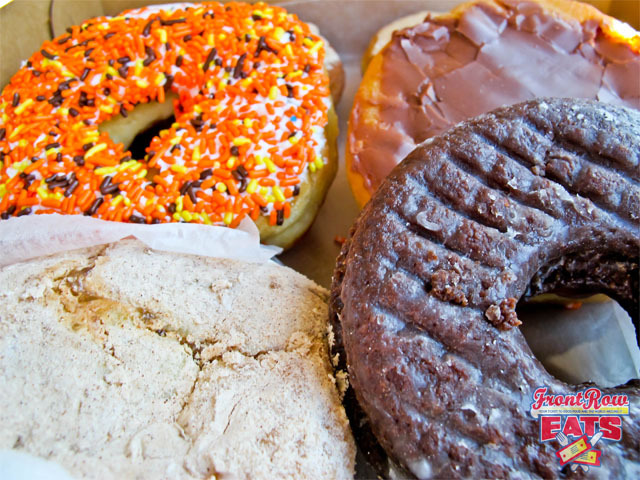 And If there is one thing we Americans love….its doughnuts! In fact, when a patron saw me taking pictures outside of Allie’s, he yelled, “this is our American tradition.” He then smiled as he drove off in his All-American Ford Pickup Truck. So it’s quite the honor to be known as the best of the best. And that’s the reputation that Allie’s has been building for 40+ years now. Might not look like much from the outside, but there is something very special behind those doors. 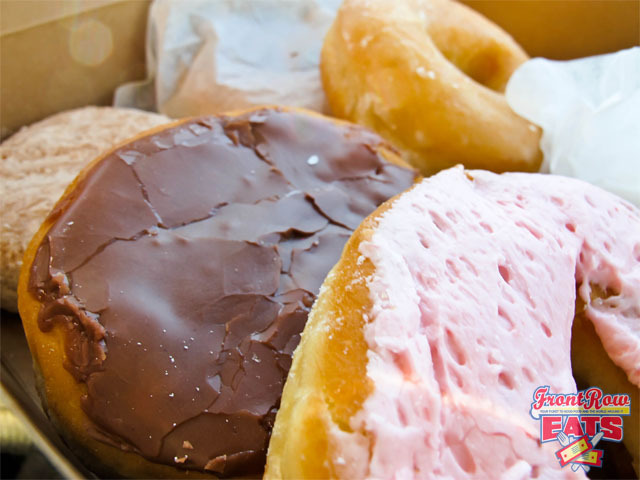 The Original is similar to what you find at your typical doughnut shop…except tastier :). The Raised doughnuts taste exactly like cake. It’s like half doughnut / half dessert (I know what you’re thinking, doughnuts are already great for dessert). Both soft and airy on the inside, these are unlike any doughnuts you have ever tried before. If you like cake (who doesn’t?! ), then you will love these! Last but not least, the Old-Fashioned were my personal favorite. These delicious rings of dough were crispy on the outside and pillowy on the inside. The best part…they were not as heavy and dense as your typical Old-Fashioned doughnuts. Next time, I might just have to order a dozen of this style instead! After visiting Allie’s, it makes me wonder why so many people swarm to inferior and lesser quality doughnut chains. Is it a matter of convenience? I can assure you that Allie’s is totally worth the ride. And judging on taste alone, you can DEFINITELY taste the difference. Allie’s has great prices too. For a dozen doughnuts, it should only cost you around $8. So if that doesn’t give you enough reason to visit Allie’s, I don’t know what will! This entry was posted in Cheap Eats, RI Favorites and tagged about allie's donuts, allie's donuts, allie's donuts north kingstown, allie's donuts ri, allie's donuts route 2, allie's donuts south county, allie's doughnuts, dozen donuts, dozen doughnuts, old fashioned doughnut, original doughnut, raised doughnut. Bookmark the permalink.